During the second half of our trip to Kauai, we decided to explore the south shore and went sightseeing. 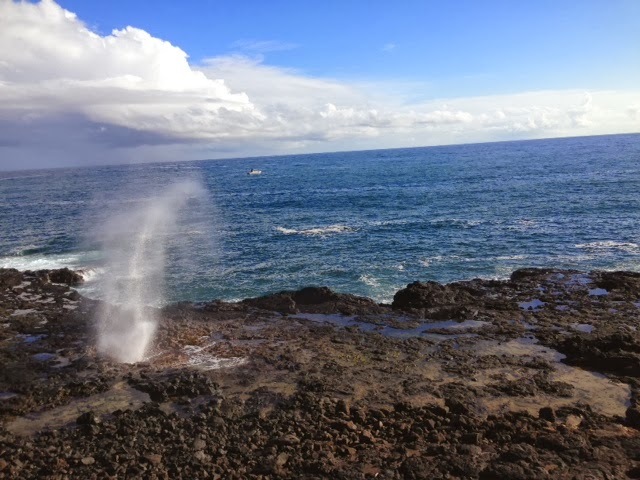 Along the way, we checked out the Spouting Horn. This top picture was taken in the same area as the Spouting Horn's location. We went during a time when the Spouting Horn was not as large as it can get, but still enjoyed the uniqueness of it. The Spouting Horn does what its name suggests - spouts water high up into the air. Kauai is known as the garden isle because of the lush greens, trees, and plants that lend itself well to an outdoors themed place. In addition to the wonderful beaches, Kauai offers beautiful simplicity to residents and tourists. Kauai has only one road that encompasses the island in a U-shape. 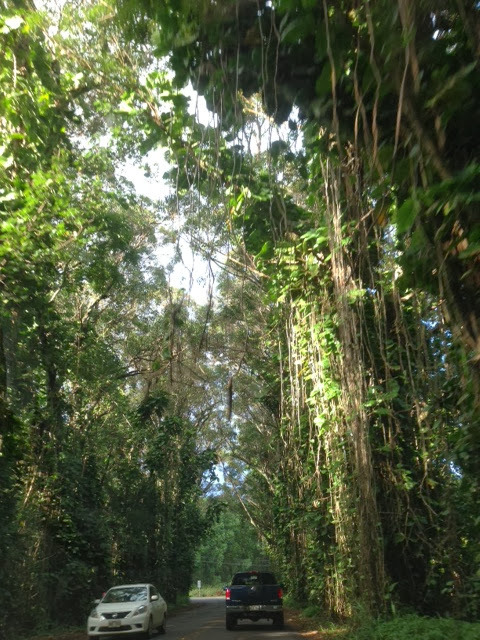 While traveling to our next destination, we saw a lot of vines and trees that were absolutely stunning. 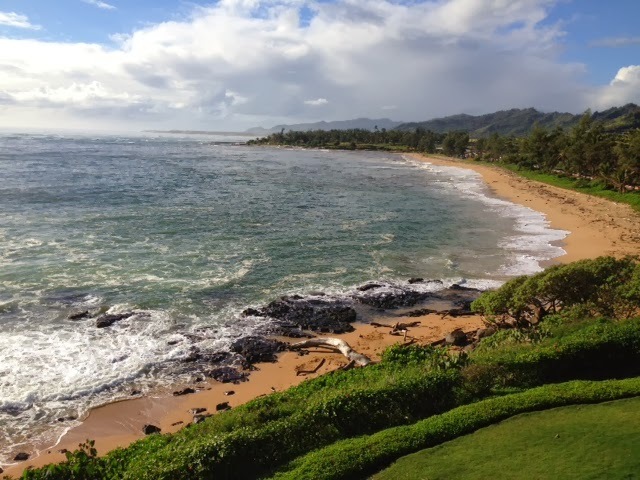 We stayed in Kapaa, Kauai, which is known as the coconut coast. I would recommend getting yourself a nice refreshing coconut drink. This one is from a small shop right before the road leading to Waimea Canyon. Surprisingly, we did not find as many coconut or fruit drinks shops and stands as we thought we would find on this island. We stayed in Kapaa and the beaches were amazing! 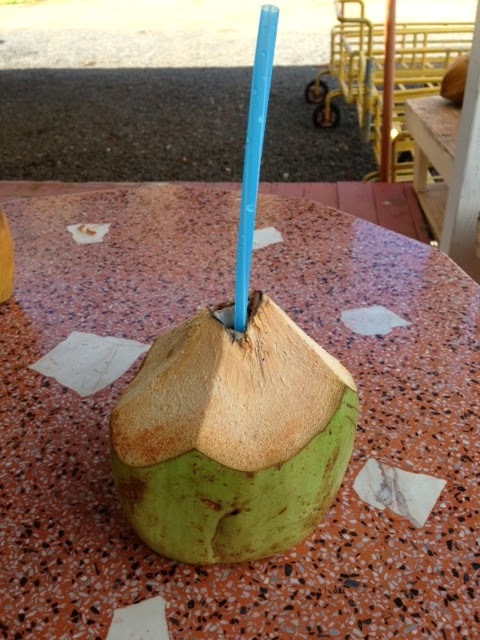 Grab yourself a coconut drink and head to the beach for a day of fun in the sun. Also, a fair warning for dining out in Kauai. The food prices there are absolutely off the charts. I live in one of the most expensive places (skyhigh rent, more than average priced meals, etc.) in this country, and I had sticker shock with the food prices. Prices reflect the fresh, local ingredients, but it can also indicate the need to charge people more since there are always tourists there. Your best bet is to shop for groceries at Walmart, Costco, or Safeway and cook some of your meals while on vacation. This will allow you to explore more activities on the island! We decided to rent an economy car, which was reliable and we were able to explore much of the island in a matter of five days. Keep in mind that it rains often in Kauai, and can rain everyday. However, the rain comes and goes and it does not rain the entire day. Kauai will also have flash flood warnings when there is a storm, so be prepared. Use sunscreen at least every 1.5 to 2 hours. I did and still came back sunburnt. That sun and temperature is harsh on your skin. 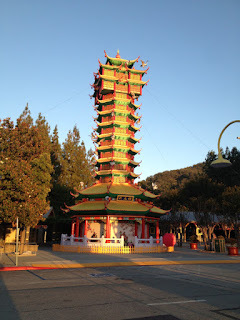 There are roosters everywhere on this island, and are loud at all hours of the day. Be sure you don't run any over as they can and will get in the way of where you need to go. They are a protected species on the island. Bring beach towels with you, even if you don't plan to go to the beach. You never know if you might spot a good beach to spend some time. 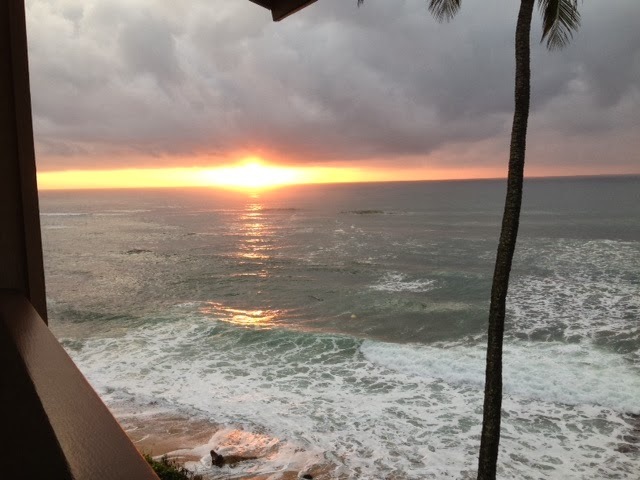 I hope you have a chance to visit Kauai! 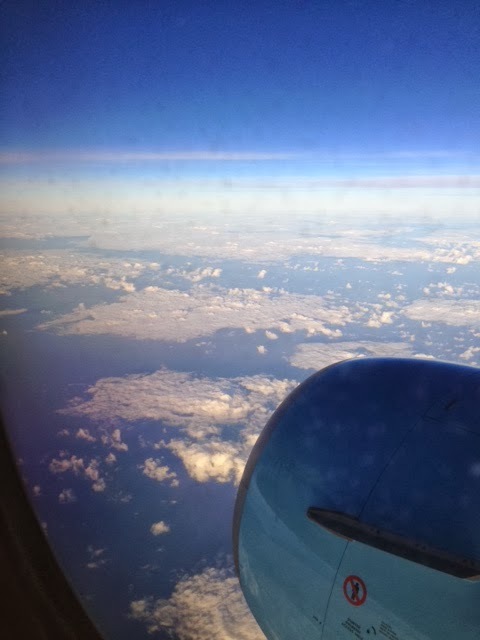 I returned a few days ago from the first vacation (in my life) to Kauai. Time has gone by so quickly, with working, putting myself through college, graduate school, and now moving into the early to mid stages of my career. Vacations are hard to come by, so this was a rare chance for me to get off the grid and relax on the garden isle. I can be a very tense flyer, but luckily I brought my assortment of electronics and earphones to drone out the noise of kids and crying babies. The nervous energies and crying tend to exacerbate my tension. Tip for anyone who easily gets cold: do not book your seats at or near the exit rows. My first view of the oceanfront condo I stayed in was incredible. A storm hit the island during our first two days in Kauai, so we lost two days of outdoor activities. The thunder and lightning combined with strong winds and flash flood warnings were very intense. Days 1 and 2 in Kauai were spent in our condo with good food from the island. Our first stop was Korean BBQ, a great place for Korean and Hawaiian food. Their chicken katsu was exceptionally fresh and had a nice crunchy outer layer. 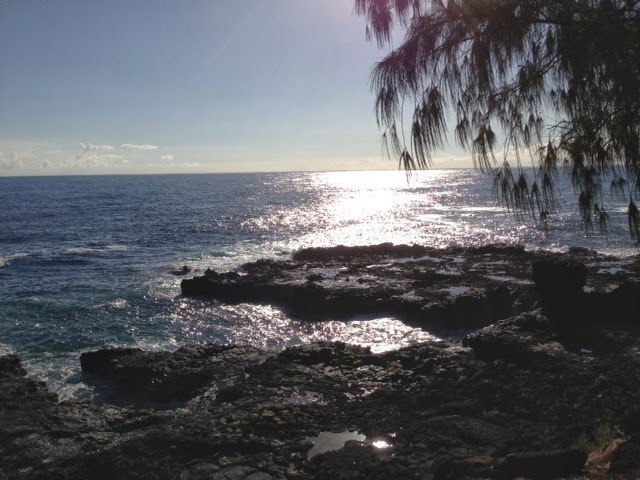 I will post more of my adventures soon, but for now feel free to check out my visit to the Spouting Horn in Kauai.